30 days from now, where could your business be with new branding visuals, website, and copy to speak to the heart of your audience? Picture me this: would you gain the recognition and visibility you are working for? Finally have the professional visuals and copy for people to take your business seriously like it deserves? What would that look like for you and your own unique business? Introducing 30 day branding intensives. 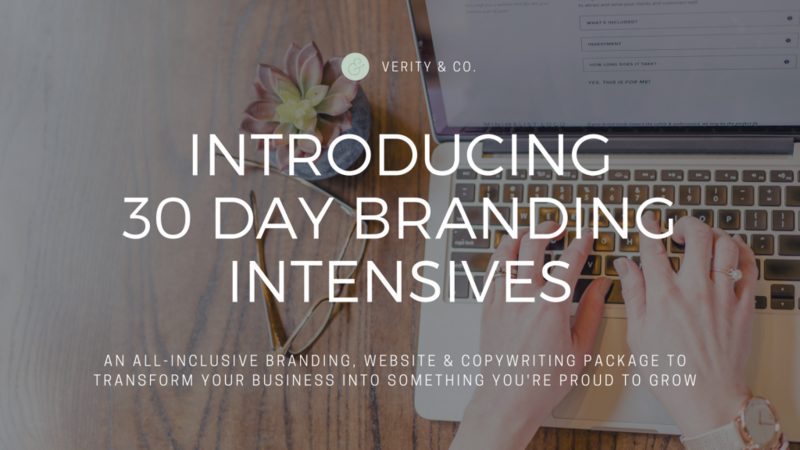 Verity works with entrepreneurs with branding, web design & copywriting as separate packages, but new for 2018, I am so excited to introduce a brand new offering a premiere 30 DAY BRANDING INTENSIVE: BRANDING. WEB. COPYWRITING. For 30 days, we dive deep into the heart of your brand. 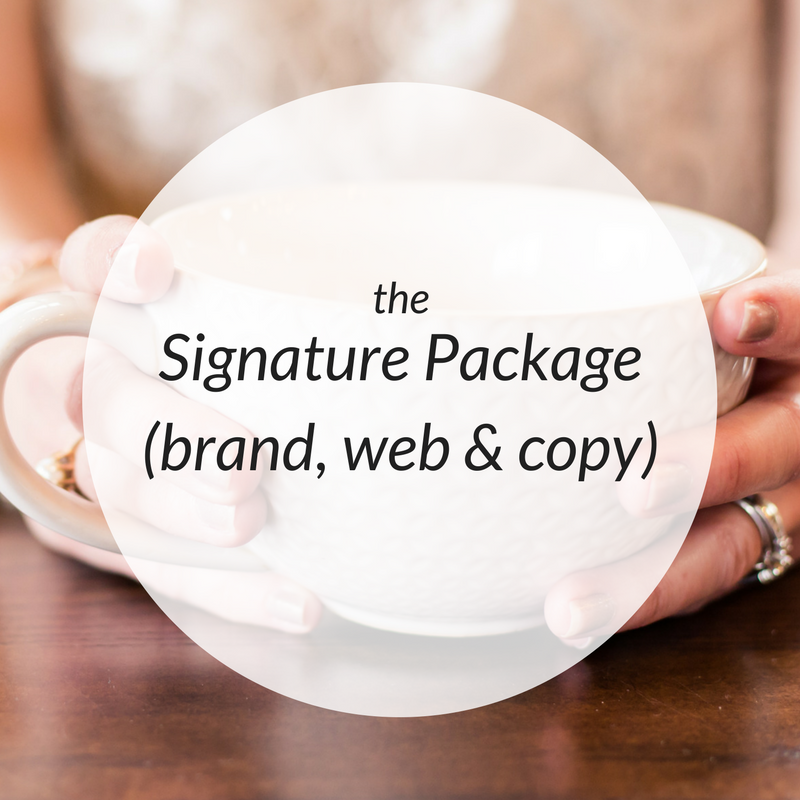 You and your business is my primary focus, and we both get committed to producing a brand identity that supports your business mission and helps you achieve those big goals that are oh so attainable but seemingly out of reach at the moment. One person to help you get to the pulse of your business, one cohesive branding strategy, one strong and intimate relationship with me as a base on which to build the business of your dreams. I designed 30 day branding intensives to meet the need I’ve seen of so many small business owners and entrepreneurs who want the ability to trust one individual with the intimate strategy and design of their brand. They want an easier process to something that seems so daunting. This is for those who could hire three separate freelancers but would prefer the ease and convenience of entrusting one individual. Maybe hiring three freelancers seems like the only option thus far, but I want you to know that it’s not the only option. Sure, three freelancers would do a good job, but would they get to the same pulse of your brand strategy and execute that with consistent and impeccably designed brand collateral? 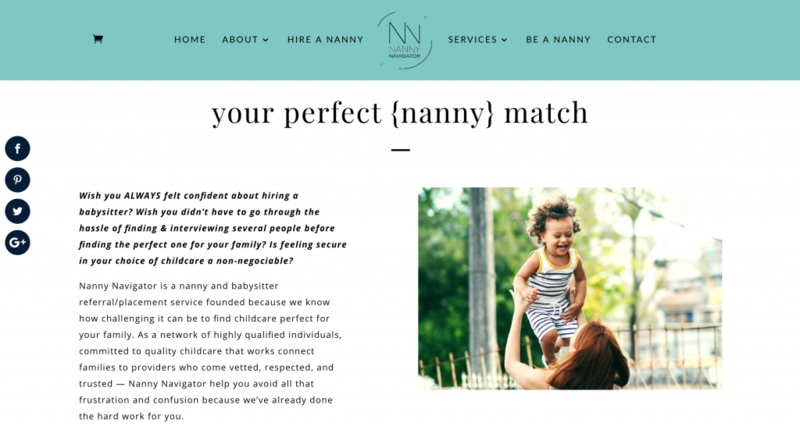 Would your copy really speak the voice of your visuals, or would there be a disconnect between what your website portrays and what your website says to your audience? 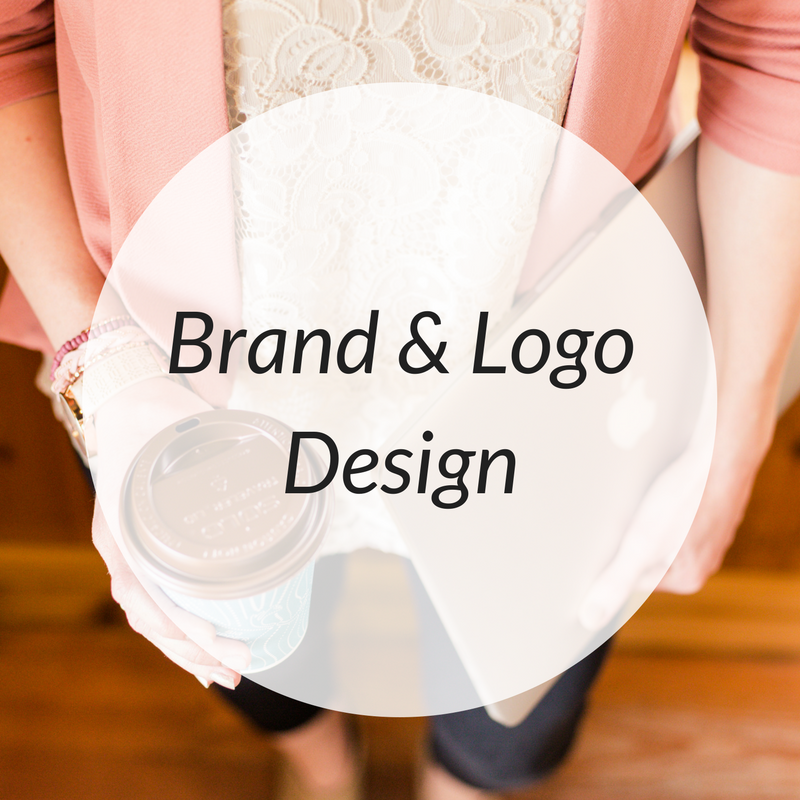 There are also brand agencies that handle all the aspects of branding, but even if you work with one person in a project management role, there will still be three freelancers working on the actual build: visual branding like logos, typography, and color scheme, web design & build, and brand voice copywriting and brand messaging. The cohesion just isn’t the same as one expert singularly committed to your business in every possible way. 30 day branding intensives are for women small business owners or entrepreneurs who are either brand new in business, or who are rebranding because they’ve outgrown the current state of their business. If you are a new business owner and need comprehensive branding from the ground up, we will take you from frazzled to confident that your business strategy is solid and you have the cohesive visuals, web, and words to launch your new business in a professional manner. This investment will get people talking that you are taking your business seriously from the get-go. If you are an entrepreneur who has been in a business for a while but who wasn’t sure about your visual strategy or branding in the beginning, or you’re embarrassed now about your DIY attempt in the beginning, this 30 day branding intensives are for you. We’ll get to the nitty-gritty of your brand and transform the visuals to something you’re proud to share and proud to grow. The businesses and brands who could benefit from a 30 day branding intensive are virtually limitless: service provider, product makers, photographers, consultants, virtual assistants, event planners, wedding professionals, authors, financial planners — literally anyone ready to level up and catch up branding to it matches the caliber of business they’re operating. How can we get all this done in only 30 days? When you are my primary focus for 30 days, anything is possible. I take on only 1 of these comprehensive projects each month so I have the time and brain space to devote wholeheartedly to your brand. I live and breathe your brand from the point of booking and client intake, to research & strategy, and through design, writing, and build. Communication is key, and our communication will take place via email, Zoom, and Voxer so at any point to the process, you have access to me to get updates and give/receive feedback to the process runs in a timely and efficient manner. But this communication is a two-way street. This intensive is perfect only for those who are serious about their business growth and committed to give 110% to the development of their new branding. It is perfect for those who are tired of their current brand situation and determined to uplevel in a way that will increase the perception of professionalism and higher-end business endeavors for what they are building, because they know the investment of time and resources is WORTH IT. After a quick discovery call to be sure we’re the right fit, you’ll then be slotted into the next available project slot. As you wait for your start date, you’ll have client intake homework to complete to ensure we’re as prepared as possible to dive into your project. 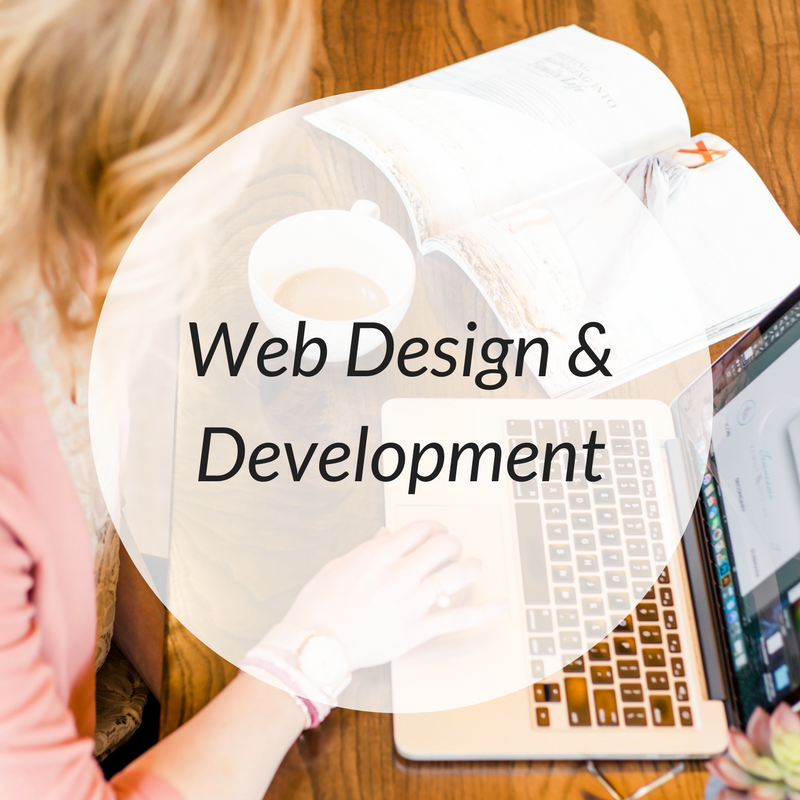 Intensive Week Four: complete web build with new content. Final approval and launch! Is it a lot to pack into 30 days? Yes. It is possible and worth it for the future of your business? YES. A hundred times yes. I’ve said before that I’m a bit of an anomaly: I am a writer at heart who has learned methods of aesthetic and design. 🙂 And what I love is minimal, modern branding paired with effective copy/messaging on a good website that does its part to convert your audience to sales. Because growing your business so it can thrive is what it’s all about. 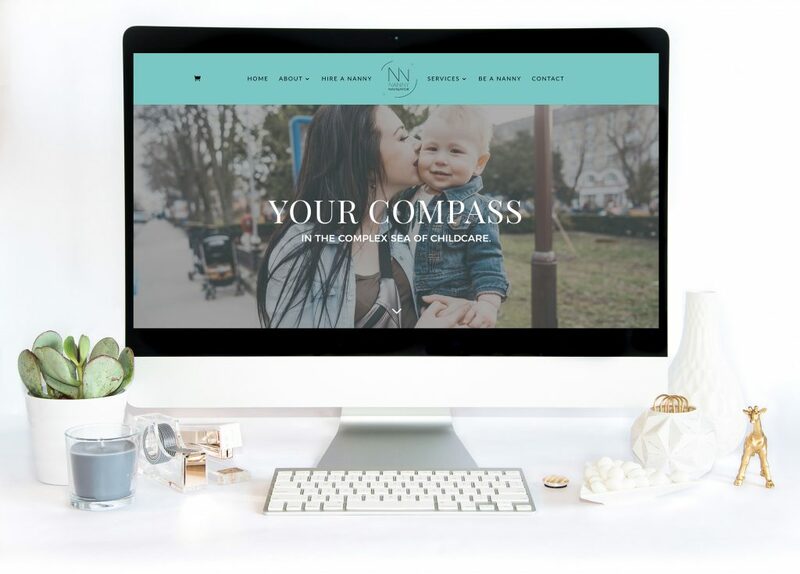 What started as my simple web design business grew into branding… and grew into strategy… and grew in copywriting: ALL equally important parts of a strong business. Now I’m on a mission to combine these elements into a package that will beat time crunches, give quality results, and be an all-inclusive brand boutique for entrepreneurs and small business owners. All-in-one. All-inclusive. One-stop-stop. Many hyphens to describe a package that is as natural and passion-driven to me as this vein of entrepreneurship in my blood. NOW BOOKING 30 DAY BRANDING INTENSIVES. 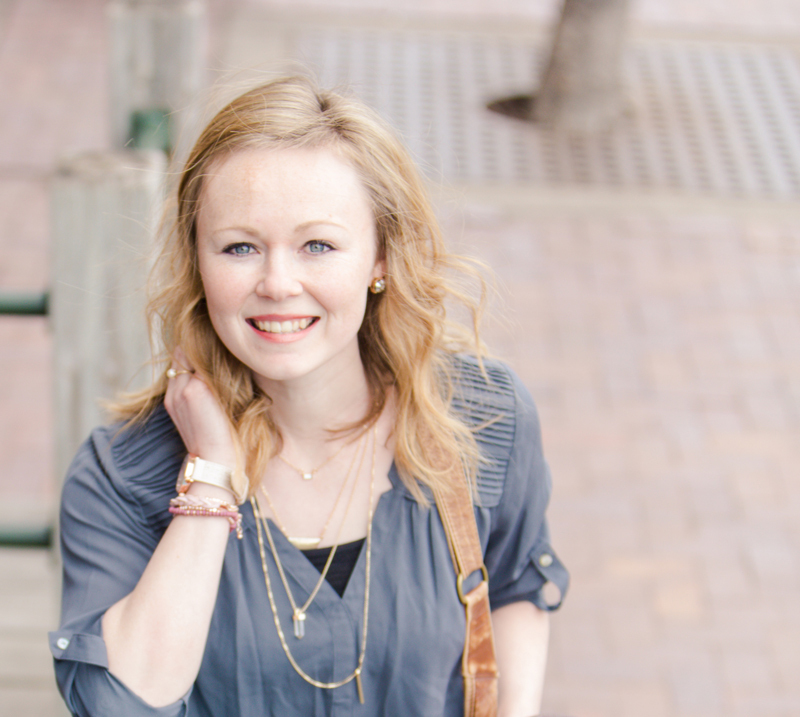 I am looking for women who are the perfect fit for this–are you one of them? CONTACT ME to schedule a call to learn more & book your own 30 day branding intensive. I would be so thrilled to work with YOU.